Otago is a region with unique ecological environments, in New Zealand and the world. Changing climate zones span changing landscapes from the Alpine Divide to the Pacific Ocean. Central Otago, in its own right, is a region that stands apart, having conditions supporting plants and animals that are found nowhere else on earth. Central Otago is a semi-desert, with extreme seasonality and diverse landscapes. Outwardly, the region appears barren, however on closer inspection this harsh environment is teeming with as much bio-diversity as a forest - but on a much smaller scale. 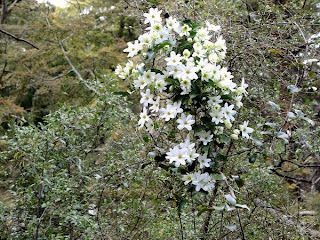 Many of these species are endemic to Otago. 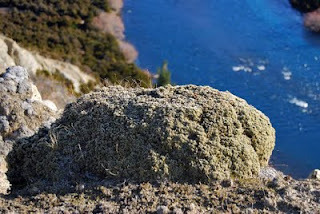 Some are only found in isolated areas of Central Otago, which could be described as a landscape sprinkled with ecological 'islands.' Climate and geography drive this diversity. Midst this unusual landscape flows one of the most extraordinary rivers on the planet, the Clutha. 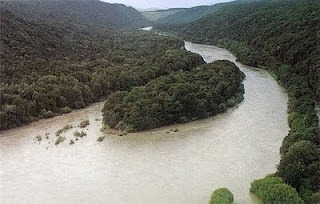 Ranked among the swiftest rivers in the world, it has perhaps the rarest water type of any river. 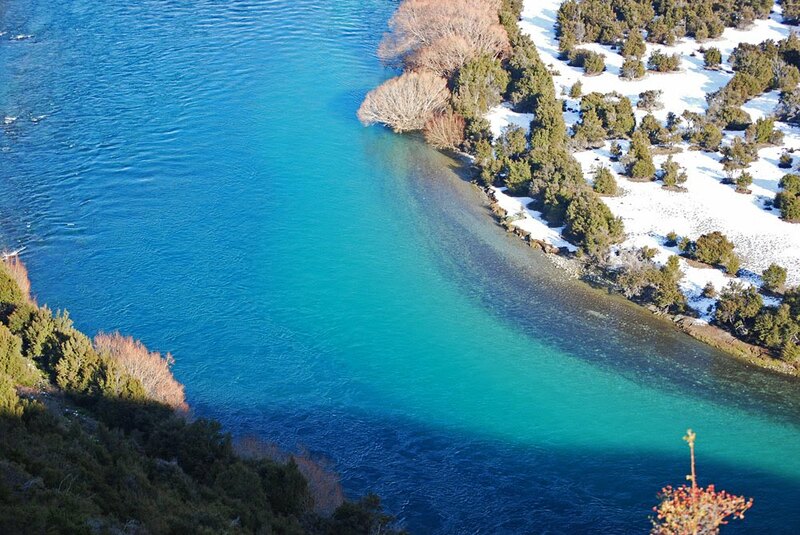 The Clutha's distinctive, clear turquoise waters are derived from cloudy glacial and snow-melt waters filtered in upland lakes - a particularly rare event world-wide. 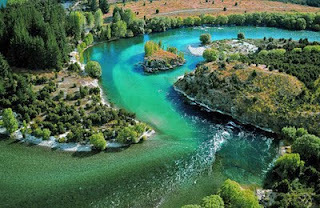 The Clutha is the highest volume river in New Zealand, and remarkably, it flows through the driest region of the country. 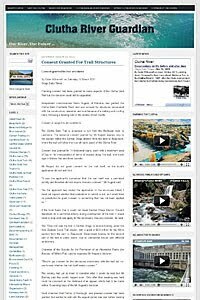 The Clutha River corridor is, effectively, an ecological corridor traversing the entire climate spectrum of Otago. 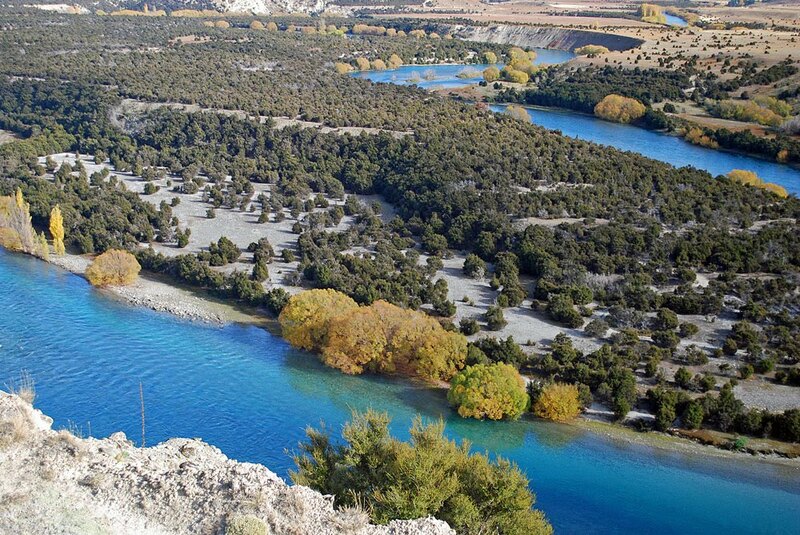 Every section of the Clutha River corridor reflects a specialised set of conditions, and many of the species within each section are adapted specifically to that section, and are often isolated there. Two of these ecologically unique river environments are the Rongahere Gorge, and the Upper Clutha glacial terrace corridor. Both are threatened by Contact Energy dams. 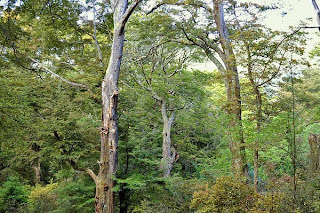 The Rongahere forest type is rare in the east of the South Island. 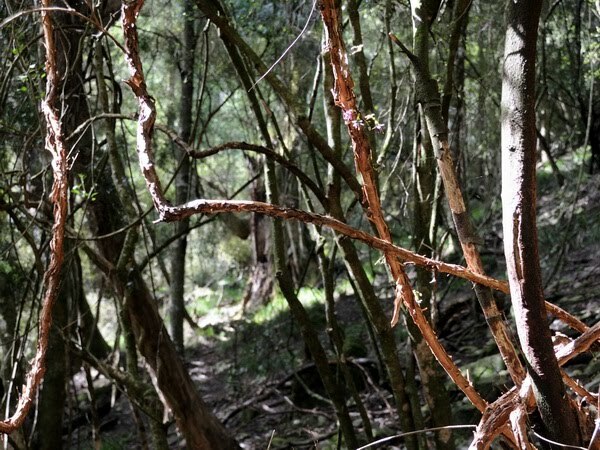 It is the only such forest along the Clutha River corridor, and it has remained virtually unchanged for 12,000 years. 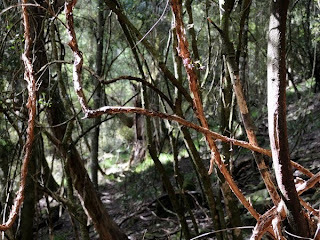 A mix of Mountain, Red and Silver Beech grows on the alluvial terraces of the valley floor, interspersed with Kahikatea and Matai. 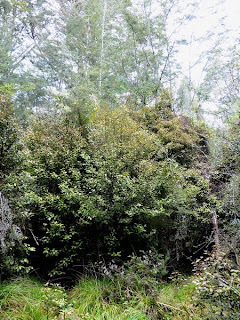 The forest understorey includes small-leaved Caprosma colensoi, C. rotundafolia, Rohutu Neomyrtus pedunculata, numerous ferns and several sedges. Wineberry Aristotelia serrata, Pepper tree Psuedowinteria colorata, Marbleleaf Carpodetus serratus, and Kotukutuku Fuschia escorticata are abundant on streamsides or in gaps in the forest canopy. 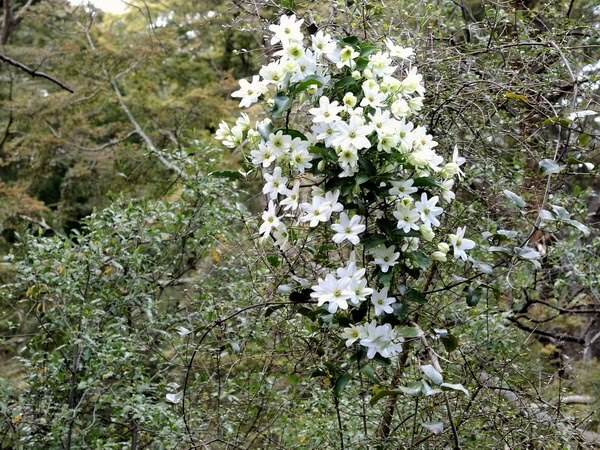 The rare riparium forest shrub Teucridium parvifolium is also found in the Rongahere at its southern limit. 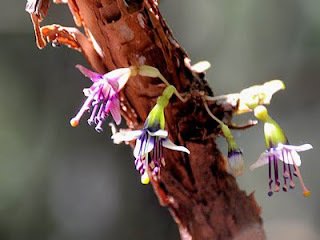 The below photos of forest species were taken in the Rongahere Gorge along the Clutha River. 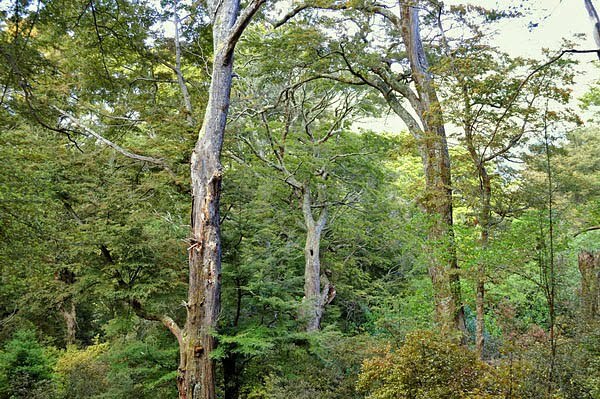 All of this forest is threatened by the proposed Tuapeka dam. Birch Island / Moa Nui is an ecological 'Noah's Ark' in the Upper Rongahere Gorge. This 1km long island, covering seven hectares, became a protected area under the Conservation Act in 2001. 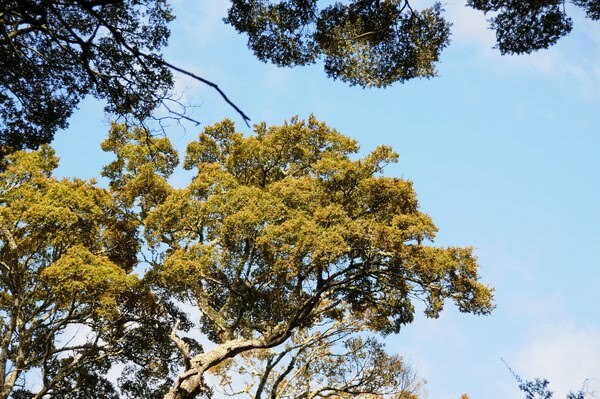 The Otago Conservation Board unanimously called for Birch Island to be given reserve status as early as 1994. The Department of Conservation began a long and complex process of securing protection after Contact Energy announced in 1996 that it had deferred development plans indefinitely. But the land still remained without protection when the National Party lost power in the 1999 election. 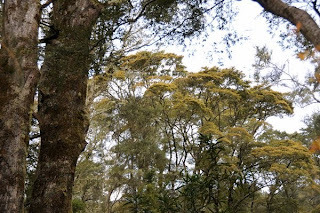 The Otago Conservation Board strongly supported Birch Island being brought under the Conservation Act, and Land Information New Zealand also supported the change. 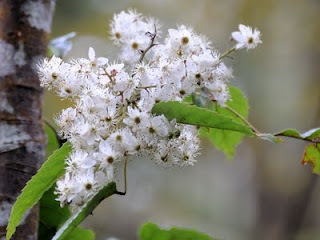 Protection status was awarded primarily because Birch Island has a nationally significant population of invertebrates, surviving in their isolated refuge, ostensibly because the island has remained predator free. In 1995, scientists investigating the invertebrate fauna on the island discovered several new species, including a Peripatus, a genus of Onychophoran. The Onychophora is an animal somewhat like a permanent caterpillar, part insect and worm. They have been suggested as warranting priority for conservation owing to their status as living fossils, being unchanged in 570 million years. Due to their predatory nature they also have potential as an indicator species in the assessment of biodiversity. Scientists also discovered unusual beetles, moths, snails and springtails. Birch Island has what is considered to be the most intact ecosystem of its kind in New Zealand. 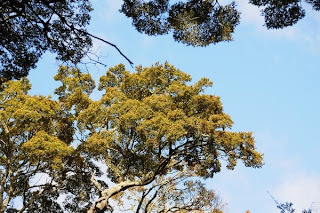 The Rongahere native river corridor is home to some of New Zealand's rarest and most endangered native birds, including important populations of Karearea / NZ Falcon, South Island Robin, Yellow-Crested Parakeet / Karariki, and Mohua / Yellowhead (Mohoua ochrocephala). Sightings of Karearea in the Rongahere confirm that the gorge is a favoured habitat for this highly endangered bird. There are no comprehensive figures for the number of Karearea surviving today, though Wingspan estimates no more than 1500 pairs in total. Although they have been fully protected for over 30 years their numbers are still so critically low that they are classified as a 'threatened' species - the second highest conservation priority. Karearea appear on the NZ Twenty Dollar note, but are disappearing from our environment. 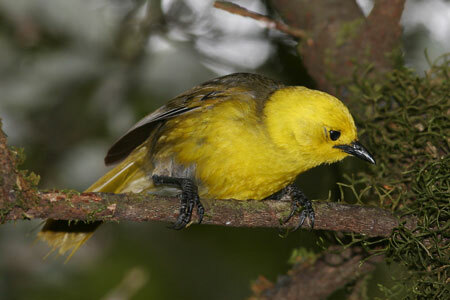 The Mohua / Yellowhead is also known as the bush canary because it has a delightful song of rich flute notes. A hole nester, they are especially vulnerable to rats and stoats. There are a very few places where Mohua persist on the mainland. Many people believe that Contact Energy should be sponsoring the protection of endangered species like the Mohua, not threatening their habitat. The entire Rongahere Gorge would be lost if a dam was built at Tuapeka Mouth, destroying this unique ecological treasure forever. 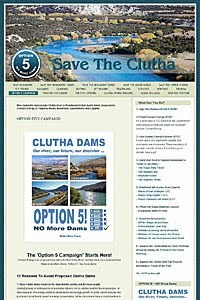 Contact Energy states a preference for further dams on rivers “already modified” by dams, but this is particularly untrue of the Upper Clutha River, which is one of the most unspoiled, and least modified large wild and scenic rivers in New Zealand. It has characteristics that can rightly be claimed as unique in the world. It ranks among the swiftest of rivers anywhere, and it’s distinctive, clear turquoise waters are produced by a highly rare upland lake filtering process, decidedly atypical of glacial rivers which are normally discoloured to some degree by blue-grey rock flour. Other extraordinary features of the Upper Clutha River include a series of swift water ox-bows called the “Snake” in the first reaches – ox-bows are normally gently-flowing lower reach meanders, and a high volume switchback known as the “Devil’s Nook” at Luggate – one of the world’s rarest hydrological river features. The glacial terrace flights of the Upper Clutha River corridor also rate among the best such examples in New Zealand, and when we look more closely we find a range of unusual plants and invertebrate animals, signifying that this river environment is different from anywhere else. 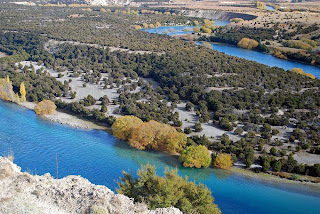 The Upper Clutha River corridor is home to many important plant populations, including pillow native daphne (Pimelea pulvinaris), desert broom (Carmichaelia petriei), cushions (Raoulia), heath plants such as Leucopogon muscosus, and in more sheltered areas yellow-flowered Corokia cotoneaster, and the tree daisy Olearia odorata. Among the many native insects in the Upper Clutha, beetles are prominent. At least two are found only in the valley, including an undescribed chrysomelid in the genus Allocharis. So important are these species that a 165 hectare Scientific Reserve has been proposed at Long Gully Flat on the true left of the river above the Maori Gorge between Luggate and Queensberry. 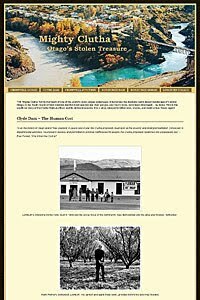 Numerous gold-rush era heritage sites are found along the upper and lower river. The newly established Reko’s Point Conservation Area beside the river near Luggate is an example of one such site, but many more remain virtually untouched.